BATON ROUGE, La. - March 24, 2016 - PRLog -- Linda Allred, CEO of Linda Allred, helps readers prepare for the upcoming warm weather of spring and summer with information that can help in the area of weight management. 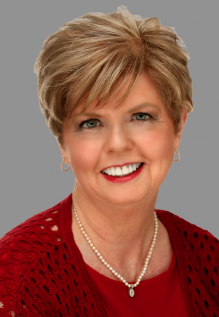 Baton Rouge, LA- March 24, 2016 - Linda Allred owner of Linda Allred, LLC, is a certified hypnotist and Kinesiology(Muscle Testing) Energy Expert. She has achieved great success in helping people lose weight, manage stress, make more money and run a successful business. In her recent blog entitled "The Power of Self-Hypnosis in Waist Control " Ms. Allred gives readers a way to help lose weight and keep it off. Allred writes, "Here comes the sun! Spring and summer are right around the corner." She continues adding, "The thought of showing a little more skin than usual to soak up the warmth of the sun is always so appealing (don't forget the sunscreen of course!). Yet, perhaps you have a few pounds or more than a few you'd like to shed so you can look and feel your very best in your shorts, swimsuits and sundresses." Allred acknowledges her own struggle, "I used to be 40 pounds over my ideal weight for decades. I tried every diet and yo-yoed up and down and back up again. Each time I got back to my heaviest weight, I have to say I didn't like myself very much and I beat myself up endlessly." "Eventually," says Allred, "I developed a program based on the power of the mind and self-hypnosis. As a result I have achieved my own weight loss goals once and for all. And more importantly, I have grown to I love and respect myself."